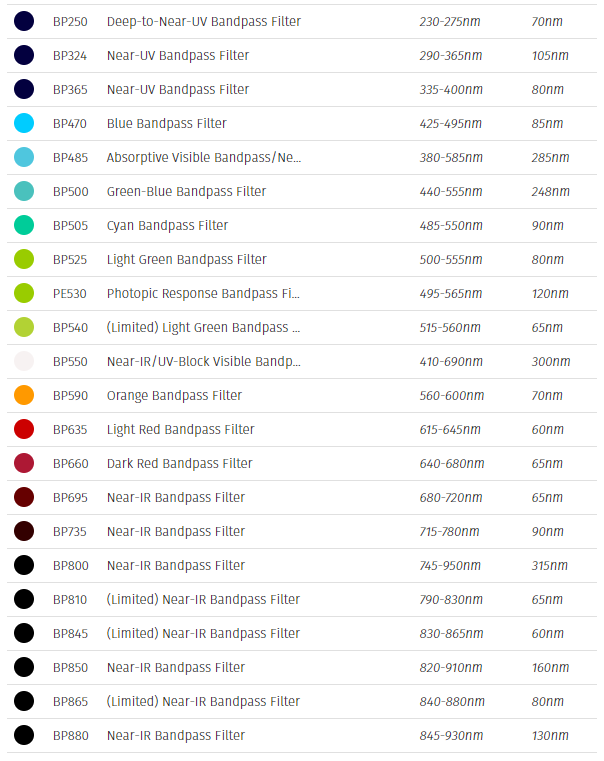 Bandpass Filters are often one of the easiest ways to drastically improve image quality. They are designed with a Gaussian transmission curve to emulate the output of the most common types of LEDs used in machine vision and are great for testing the effects of monochromatic imaging. 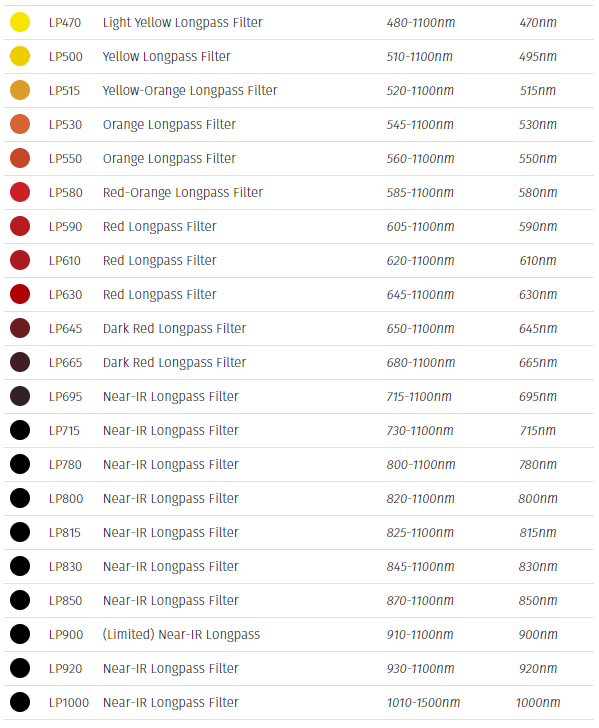 All Bandpass Filters have an anti-reflection coating to ensure maximum transmission.